Amanda Nunes is 14-4 overall but 7-1 in the UFC. Of those Seven wins, Six of them have come the way of vicious first round knockout or submission. The only women to take her the distance was Valentina Shevchenko, the same woman who she will face this weekend at UFC 213. The numbers almost sound Rousey like, don’t they? Ironically enough, that is who her last knockout was against as she dismantled the former champ in just 48 seconds at UFC 207. It is a list of impressive names she has taken down, such as MieshaTate a year ago at UFC 200 to win the Women’s Bantamweight Title. Before that she toppled Sara McMann, Shayna Baszler and Germaine de Randamie amongst others. 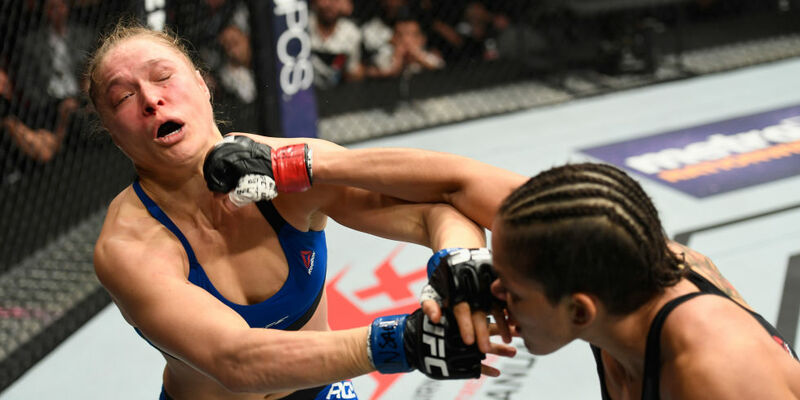 No one will ever forget the dominance Ronda Rousey had over women’s MMA, but two things are very clear when we step back and look at it. 1. The sport has evolved yet again. 2. Nunes is the better all-around athlete and MMA fighter. It is just that simple. As for Valentina Shevchenko, she will have her work cut out for her, but she herself is no slouch. Before entering the UFC, she won countless Kickboxing tournament and Muay Thai. She is 14 -2 in MMA with her only loss in the UFC (4-1) coming against the current champ. She is fresh off of two dominating wins over Juliana Pena and Holy Holm. Time will tell how hard Shevchenko can push Nunes and possibly slip in a few hard shots to stun the champ. If anyone can, it is Shevchenko. The Nunes vs Shevchenko matchup is certainly the headliner of a loaded weekend. However, there are several other great fights this weekend on both shows. The UFC Ultimate Fighter will take place the night before.